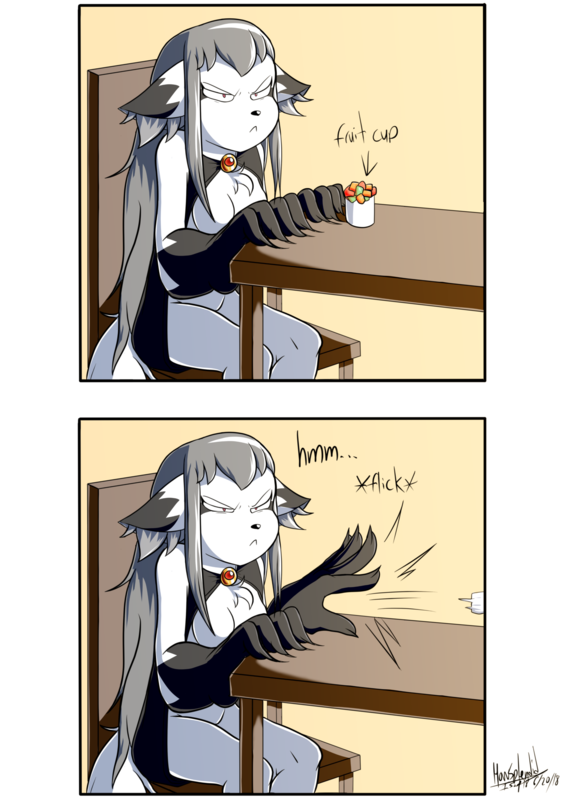 Tumblr question: "Kibbles, how about a fruit cup? There good for you. That pudding will straight to your thighs." So much anger XD !